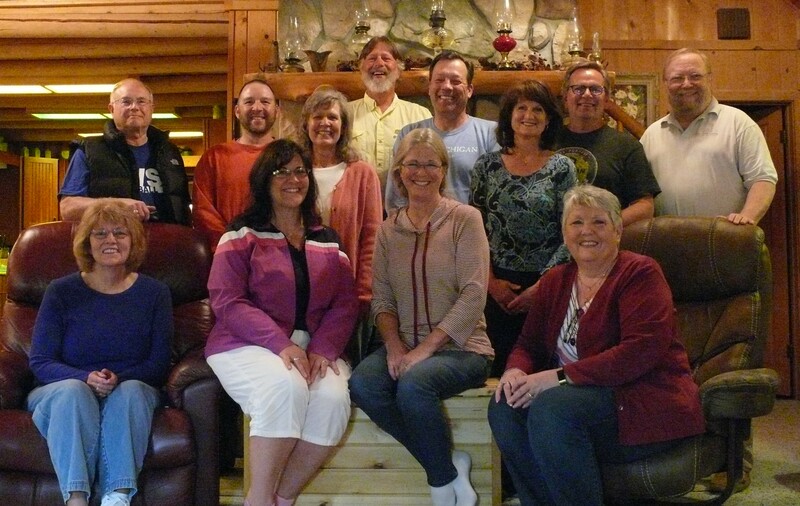 This group, led by Jim & Denise Ackerman, meets on Wednesday nights at 7:00 p.m. at the Ackerman home. They are currently studying the book of Acts. From left to right, Ron and Mary Roush, Brian and Doniel Bur, Jeff and Carolyn Cooper, Tom and Patty Switalski, Jim and Peggy Mills, Jim and Denise Ackerman. For more information, email Denise.